Ellis Carr served as Capital Impact’s Chief Financial Officer and Treasurer from July, 2012 until his appointment as President and Chief Executive Officer in May, 2016. Mr. Carr has more than 20 years of experience in the financial services and mortgage industries. 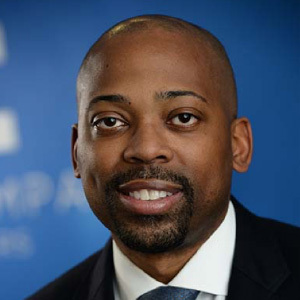 Prior to joining Capital Impact, he held various positions in the investments, capital markets, strategy and corporate finance areas within Freddie Mac and in fixed income fund management both domestically and abroad at Deutsche Bank. Mr. Carr is a trustee of the NHP Foundation; the Treasurer and Board member of Martha’s Table; a Board member of Housing Partnership Network (HPN); and a Board member of the Opportunity Finance Network (OFN). In 2015, he was recognized as one of the “Top 40 under 40” business executives by the Washington Business Journal. Mr. Carr graduated from Towson University with a B.A. in accounting and from Georgetown University with an M.A. in real estate with a concentration in finance.